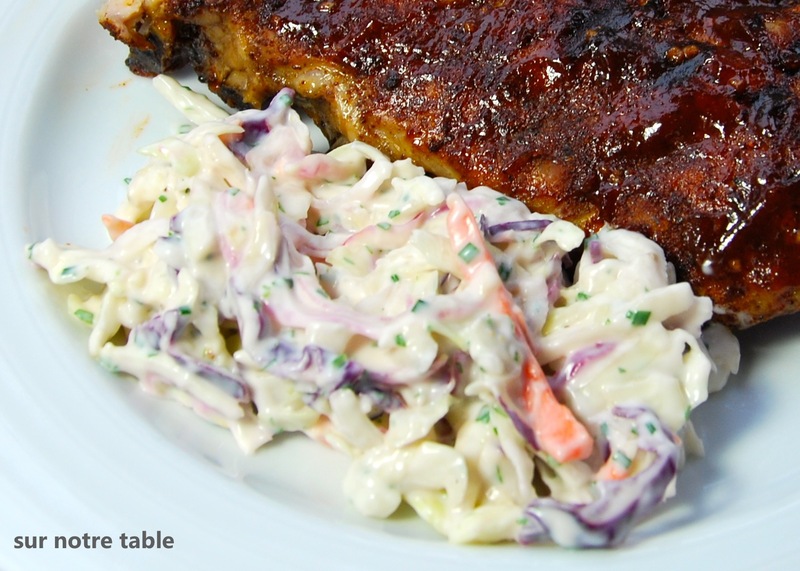 This buttermilk coleslaw is my go-to summer BBQ salad! It is a great side to most meats that you will BBQ, such as beer-can chicken, baby back ribs, as shown above, or sausages. It is especially well paired when you’re serving up something that is spicy as it helps cut the spice with it’s creamy and rich buttermilk dressing. It is also perfect in a pulled pork sandwich too! This is a great salad to prepare for a BBQ as it can be made in advance and refrigerated. My husband even prefers it the next day so you can even prepare it a day in advance if need be. It’s so easy and quick to put it together that you can also make it on a weeknight BBQ as you can whip this up in under 15 minutes! Take note that even though the dressing tastes rich, it doesn’t necessarily have to be high in fat content. Yes, the buttermilk is low in fat, but feel free to use light mayonnaise and low-fat sour cream, as I do, it will cut down on the fat and be just as rich and creamy tasting! In a large bowl combine red onion and shallots in white vinegar. Add packaged coleslaw to large bowl (and carrots if no carrots are included in the packaged coleslaw) and toss. In a medium bowl, stir together ingredients for dressing, mayonnaise, buttermilk, sour cream, parsley and chives. Season dressing with salt and white pepper. Pour buttermilk dressing in coleslaw mix and toss until well coated and serve! That’s it! 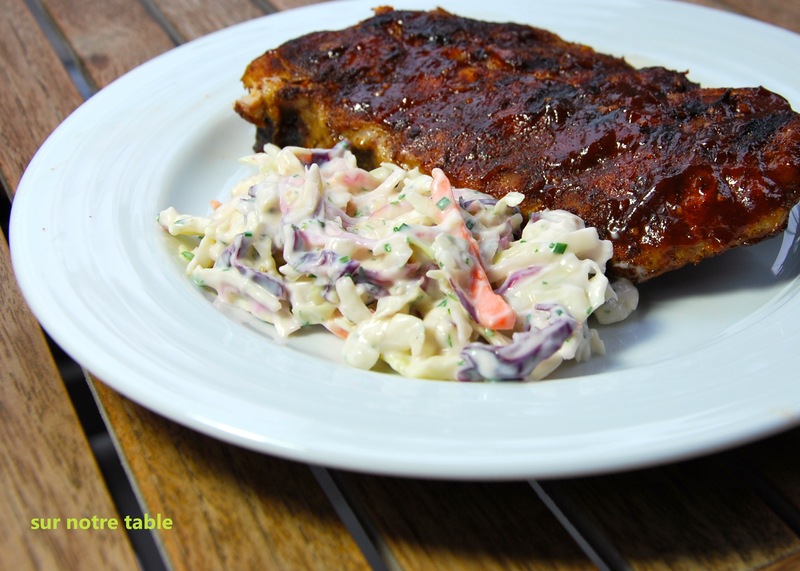 This entry was posted in BBQ, Easy, Make ahead, salad, Side dish, Vegetarian and tagged buttermilk, buttermilk coleslaw, cabbage, chives, coleslaw, easy, fast, make ahead, make in advance, salad, seasonal menus, sour cream, vegetarian by Caroline Reny. Bookmark the permalink. I love you for sharing your recipes! I had the pleasure of tasting this one (amongst others :)) and it is absolutely delicious. I know exactly what I will be bringing to my friend’s BBQ this weekend!